At HRC, we realize that each booking is special, so we do everything possible to ensure your trip to China successful. With the increase of buyers to Canton Fair, HRC also gain a stable increase of the guest. Almost 9% of buyers to Canton Fair have used HRC Worldwide services. HRC is the leading International agent for Canton Fair Market. HRC Worldwide head office is based in Guangzhou. It is a fact that we are not afraid to be different from our competitors in the way we do business. We are revolutionizing the way for Canton Fair Travel services are operated in Guangzhou. It is the first agent that provides the free pick-up service at Baiyun International Airport. It is the first agent that provides instant online service and confirmation. As an agent base on Guangzhou, HRC could provide more personalized and worry-free service. 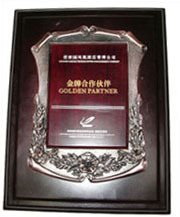 HRC is the first choice partner for most of hotels in Guangzhou. In 2007, Cantontradefair.com was awarded the Best Inbound Reservation Website. 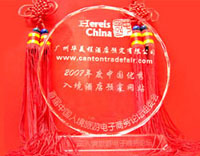 Cantontradefair.com is one of the earliest online Canton Fair agents and has served guests from 187 countries. In 2006, Nanfang Daily (The most famous newspaper in Southern China) recommended HRC as one of the two reliable agents for Canton Fair travel service. Hand-selected Hotels assure you of the best possible Canton Fair stay. We believe when you compare quality and costs, we offer the best value for money for travel to Canton Fair.